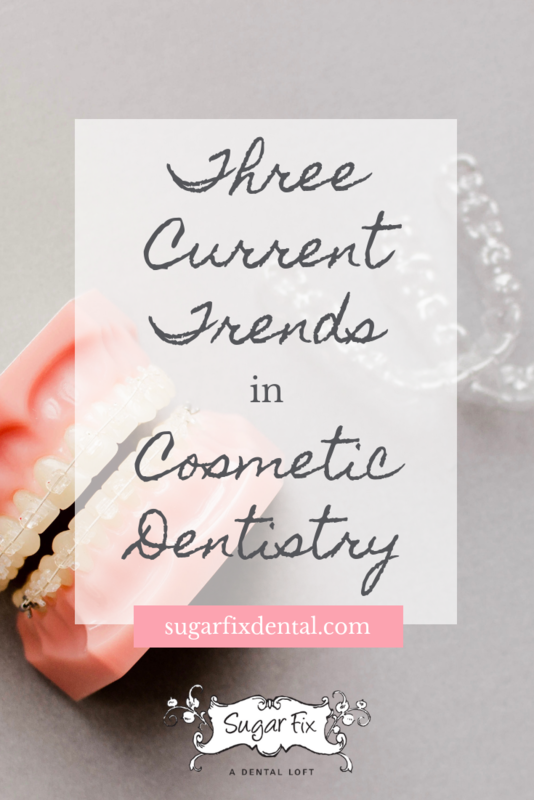 As a dental practice focusing on cosmetic procedures, it’s super important for us to stay up to speed on the various trends in cosmetic dentistry. We want to be able to offer the amazing people of Lakeview (and the surrounding area) the best of the best so they can fall in love with their smiles and feel more confident. CAD/CAM stands for Computer Aided Design and Manufacturing which is a mouthful and sounds extremely technical, but we promise it’s actually pretty fascinating. This technology allows us to offer same day treatments to our patients because we’re able to use our state-of-the-art Cerec machine to create a perfect fit right here in our office while you wait! We use a wand to scan your teeth, then use software and a mill to create a custom tooth (or teeth). Whether it’s a crown, veneer, inlay or onlay, we can get it done in just a few hours, which means no temporary solutions which in the past, meant additional time, money, and discomfort. It’s easy to see why this is one of our favorite trends in cosmetic dentistry at the moment! Something that has always seemed backwards to us is the fact that traditional sedation is usually delivered via injection. If someone has anxiety or fear about going to the dentist, chances are they don’t feel great about needles, either. We offer needle-free sedation which is as easy as taking a pill the night before your appointment, and one more when you come in, and a third right before the treatment starts. You’re awake the whole time, but you’re not 100% “with us” during the appointment. If we need to, we can shake you awake, but you will feel like you’re asleep. This is a game-changer for SO many people who struggle with negative feelings surrounding their dental appointment. When it comes to convenience in the dental world, one thing pops into mind first and foremost: Invisalign. Gone are the days where metal braces, uncomfortable tightening appointments, and all. those. rubber. bands. Invisalign is a series of clear plates that are used to straighten your smile in less time than traditional braces, with less pain and fewer appointments. They’re not completely invisible, but we’ll bet most people won’t realize you’re wearing your tray. We love Invisalign because it’s not only a great option for teens who want a straighter smile, but it’s also perfect for adults who want to invest in their smile without feeling self-conscious. Many adults avoided braces in the past because they were embarrassed about the idea of a mouth full of metal, but now, we’re able to set them up with more convenient orthodontics that allow them to maintain their appearance and get straighter teeth, faster. At Sugar Fix Dental Loft, we offer a full array of cosmetic dentistry services, including same day crowns, Invisalign, and sedation dentistry. We’re always MORE than happy to answer any questions you may have, so please contact us any time! In fact, we answered four of the most common dental questions (including whether or not an electric toothbrush is really better) in a recent blog post. Be sure to give it a read!